Mamba Monster X is our latest 1:8 scale and Monster truck controller capable of 2S - 6S LiPo, with an 8 amp peak BEC - and, it’s waterproof*, so you can run your vehicle through morning dew, across soggy snow, or a muddy trail. 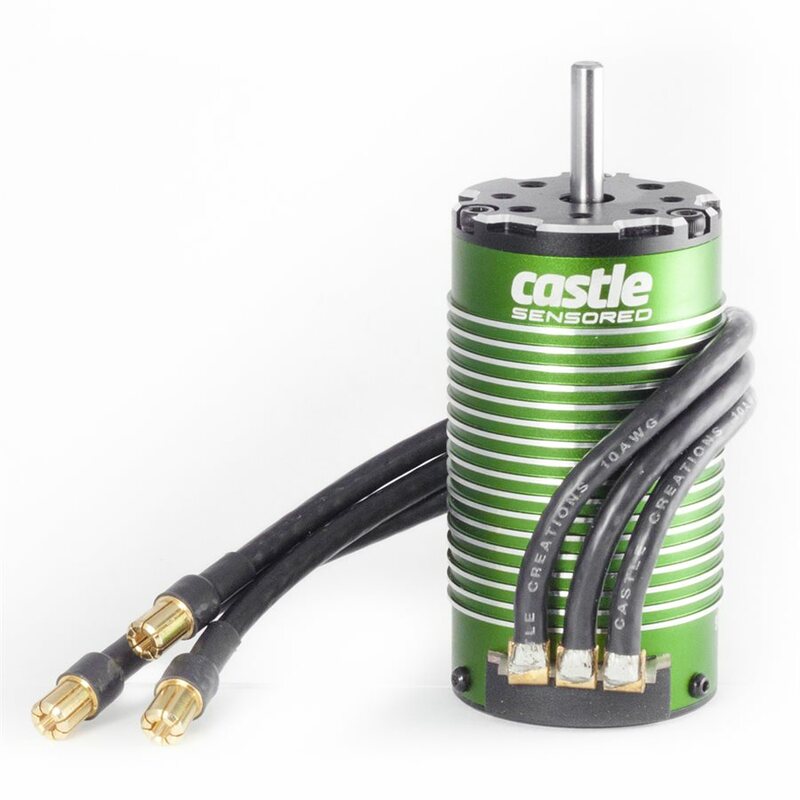 This is the perfect upgrade for 1:8 scale buggies, truggies and on-road vehicles as well as 1:10 scale monster trucks weighing up to 15 lbs with our Neu-Castle 1515 2200kv motor. It also comes standard with a highly efficient, 30mm ESC cooling fan. Mamba Monster X also features updated Audible Alerts that will notify you of possible issues with calibrations and error conditions to help diagnose problems in the field. 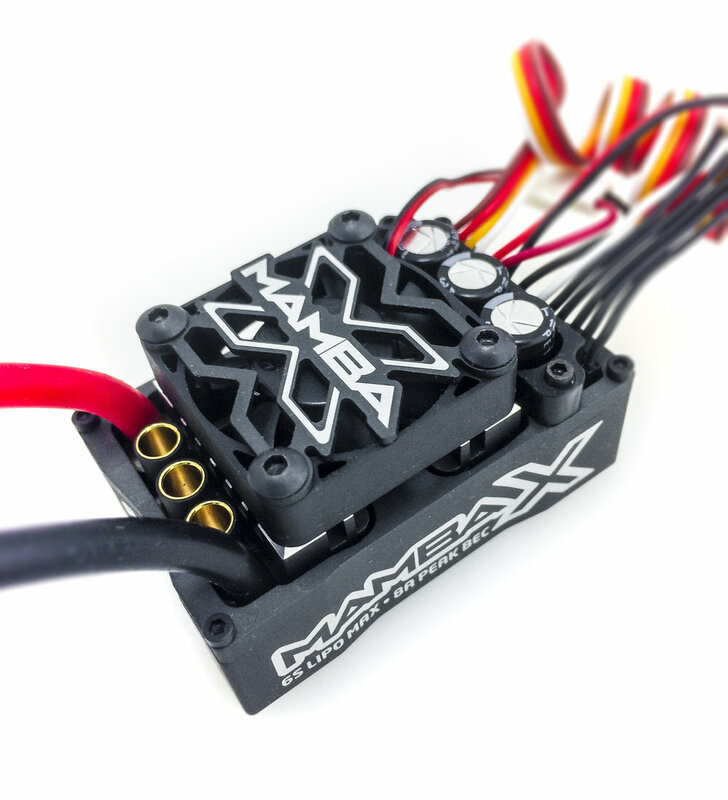 The Mamba X is made for 1:10th scale applications 3S-6S. It can also be used in lightweight 1:8th scale racing buggies up to 4S. However, this is pushing the limits of its capabilities and should only be done by experienced racers. Sidewinder 8th is our sport 1:8 scale waterproof* combo capable of 2-6S LiPo, with an 8 amp peak BEC. This is the perfect upgrade for 1:8 scale buggies, truggies and on-road vehicles as well as 1:10 scale monster trucks weighing up to 11 lbs. It can also work as a great upgrade for some 4WD short course trucks for 3s or 4s operation. It also comes standard with a highly efficient ESC cooling fan. This combo includes the Sidewinder 8th ESC and our 1515B-2200Kv motor featuring the same internal design as the award-winning Neu-Castle 1515-2200Kv motor. 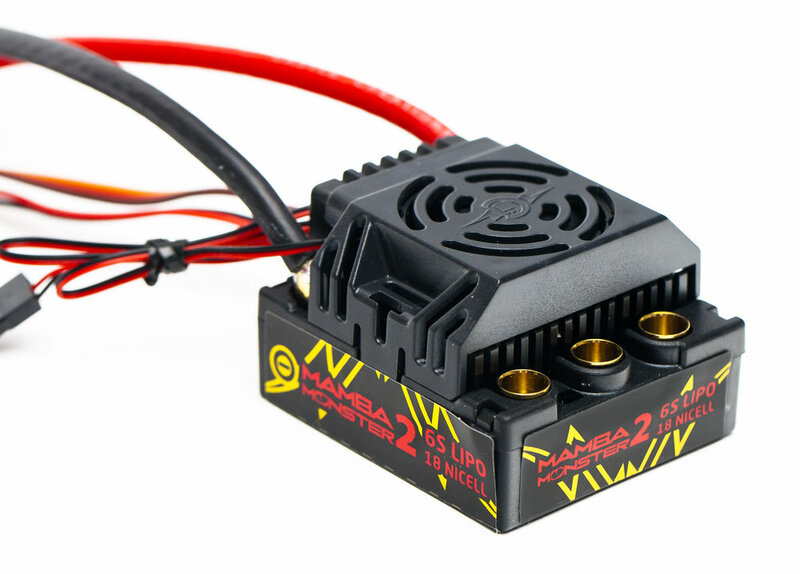 Mamba Monster 2 is capable of 2S LiPo to a maximum of 6S LiPo. It's also waterproof*, so you can run your vehicle across the morning dew, through soggy snow, or just about anywhere else you’d be interested in running a 1:8 scale RC buggy or truck. It features an easy-access case allowing you to replace fans quickly, if necessary. Additionally, Mamba Monster 2 features solder posts, so changing battery wire length and direction is simple for an even more custom install. Connectors:6.5mm male Castle Bullet Connectors, includes 210mm length sensor wire. Application Guidelines:Ideal for 1:8 scale buggies, truggies, on-road vehicles and 1:10 scale monster trucks up to 15lbs.